As any nature show will tell you, animals often exhibit different personalities. But what you might not have heard is that differences in animal personalities can have important consequences when it comes to developing effective wildlife management strategies. In the case of the invasive sea lamprey, understanding individual differences in personality and behavior could be the key to a more successful trapping program, says a team of researchers in the Department of Integrative Biology. The sea lamprey is an eel-like parasite that attacks many fish species such as trout, walleye and lake whitefish. Their signature circular rows of teeth allow them to easily latch onto fish and feed off their blood. While there is uncertainty regarding how sea lamprey first invaded the Great Lakes, they have caused severe damage to the Great Lakes fishery, causing population collapses of several native fish. 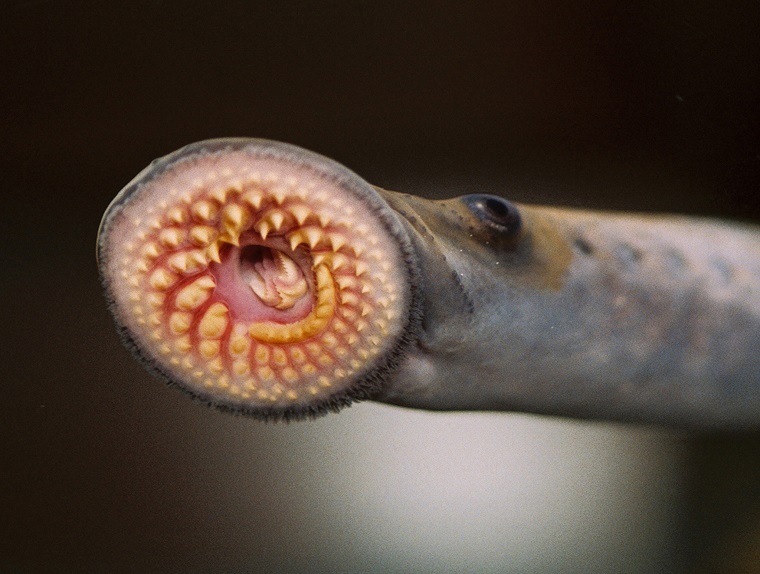 In fact, the initial impact of sea lamprey was so devastating that it led to the creation of a binational agency between Canada and the United States, the Great Lake Fishery Commission (GLFC), which was tasked with combatting this destructive pest. Since its launch in 1954, the GLFC has used a variety of management tools such as lampricides, river barriers, pheromones and traps to reduce sea lampreys in rivers, where they migrate to spawn. Currently, barriers and lampricides are the main methods of control, but each has drawbacks when it comes to using them in large rivers. For example, installing river barriers is not practical where there is boating or shipping activity, while lampricides can be expensive and challenging. In contrast, traps could offer a practical and effective approach to controlling sea lampreys, but to date, this approach has met with limited success. Prof. Robert McLaughlin, Integrative Biology, believes that sea lamprey control can be improved with better traps, and the secret ingredient of a more effective trap is to understand why some sea lampreys get trapped when others don’t. To explore how differences in behaviour may affect trapping efficiency, McLaughlin and graduate student Adrienne McLean compared sea lampreys caught in river traps with those caught downstream of the traps via electrofishing. Using standardized behaviour tests in the lab, the pair looked at how much time each sea lamprey took to exit an enclosure, and what proportion of time they spent moving with and without predator cues. “We found that yes, the two groups of sea lampreys differed consistently in their behavior, suggesting that only a certain fraction of the population may be vulnerable to trapping,” says McLaughlin. The study is one of the first to demonstrate that individual differences in behaviour can have implications for the management of invasive species – an important consideration given the growing threat of invasive species worldwide. “Such behavioural differences should be further investigated to improve management strategies and trapping programs for invasive species more broadly,” says McLaughlin. Funding for this study was provided by the Great Lakes Fishery Commission. Read the full article in the Journal of Great Lakes Research.